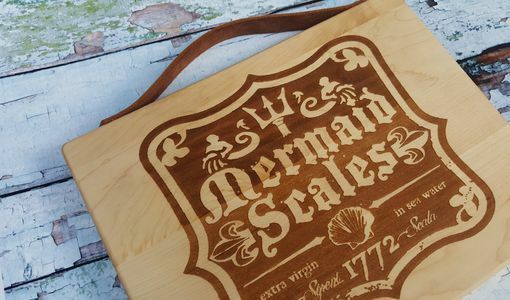 Freshen up your table decor with our hip maple bread/cheese board, with a cool "apothecary" style design. 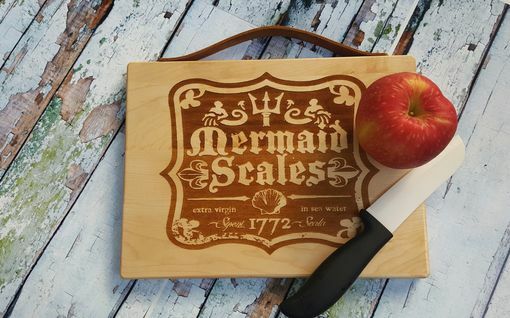 Suitable for a unique serving display in your kitchen while guests are visiting, or flip it over for a 9 x 12 maple cutting board. 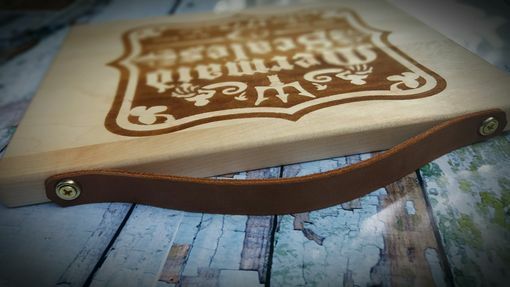 We've included a rich brown leather strap so you can grab and go.. to your next family picnic or event at the beach or farm! Also use the strap to store out of the way but in sight. 9 x 12 maple cutting or serving board. Whatever you desire. One side is engraved and the other totally ready to chip in a help cutting veggies and whatnot. 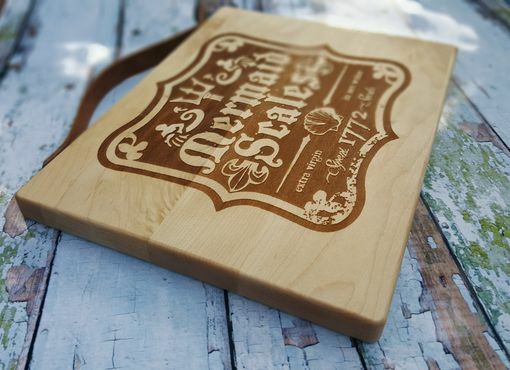 Each of our boards are treated with Kramers Wood Food Oyl. Never submerse in water and hand wash only. Each is made to order.